One of the most stressful times of the semester are midterms. While it marks the halfway point of the semester (sometimes a good thing, sometimes a bad thing), you often see your work suddenly piling on. Even though all this work may cause you to panic, there are a number of things you can do relieve the stress of midterms. 1. Study Ahead of Time, Don’t Cram! Trying to remember everything you have learned up to the halfway point of the semester is nearly impossible to do the night before an exam. 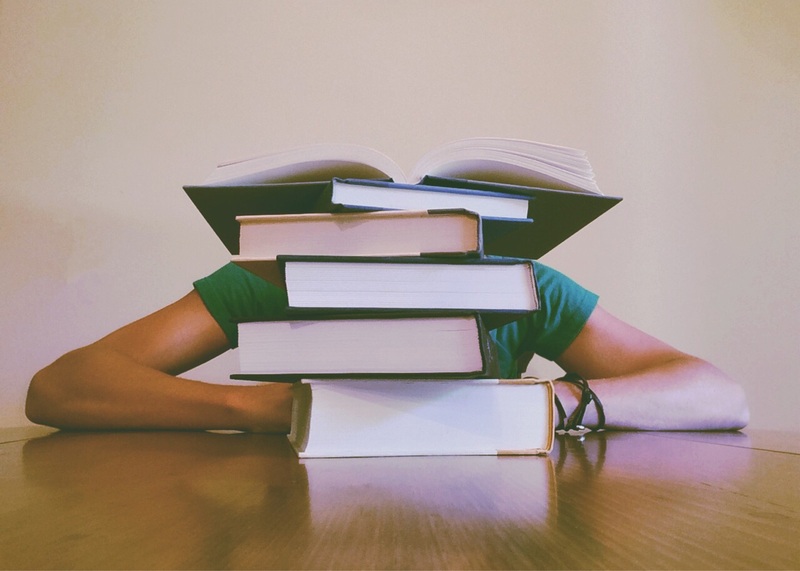 To avoid stressing about not doing well, it’s best to start studying at least a week before an exam. The same applies to writing papers, do not hold the paper off until the last minute. It’s better to give yourself a few days to write a paper instead of trying to write a ten page paper the night before it’s due. Office hours are great for getting one-on-one learning opportunities. Whether it’s going over a paper or exam material, speaking to a professor or a teaching assistant can help clarify any confusing material. Often during midterms or finals, universities provide de-stressing opportunities. One of these include bringing therapy dogs on campus to help students cope with their stress. It’s important to take a mental break during midterms. Good ways to unwind include coloring, writing, or even doing absolutely nothing. Just do anything that can help you relax! It is so important to get enough sleep during midterms. Getting enough sleep keeps you refreshed and prepared to take your exams and write your papers. Remember, after midterms are over, you’re halfway done with the semester! Aggie is an English major with a concentration in professional writing at the University of Illinois at Chicago.